What does life enrichment look like at The Jewish Home? Staying connected to the community and participating in life enrichment activities is important at any age, but being active can improve the quality of life for seniors. 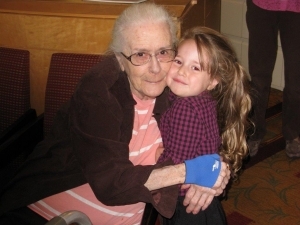 We offer many programs and initiatives at The Jewish Home! Our most recent initiative includes an art program which will showcase some beautiful art created by our memory care residents. Making art can be a rewarding experience that can focus the participant away from daily concerns and onto the creative process. Some seniors, particularly those with cognitive, memory, and other impairments may receive other benefits from art therapy such as a reduction in stress, anxiety, and confusion, a sense of empowerment, improved motor skills, and increased cognitive function. 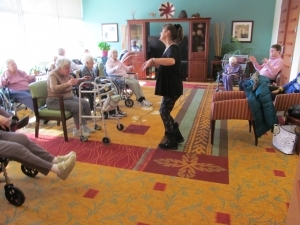 We are also excited about the music program we offer at both The Jewish Home and Elan Gardens, our premier senior living community in Clarks Summit. There are many opportunities for living an active and engaged life at The Jewish Home. We have many other programs available such as outings planned by residents to destinations they’ve selected throughout the community. 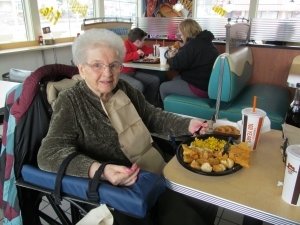 One of our recent outings included lunch at Long John Silvers. We offer Live and Learn, an enrichment program that encourages residents to continue lifelong learning which is sponsored by the Scranton Auxiliary. Baking and other hands-on activities are available to residents. We also offer men’s groups for sports or card games, small groups, and individual programming. Wellness Program at The Jewish Home. Our yoga program that is sponsored by the Wilkes-Barre Branch of the Scranton Auxiliary promotes physical activity and exercise. It also encompasses conscious breathing and meditation exercises, providing movement that’s appropriate for those with limited mobility. Bishop’s Mass at The Jewish Home. 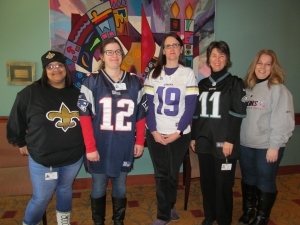 The Jewish Home serves people of all faiths, beliefs, and backgrounds and offers support, whether spiritual, emotional, or physical to help each resident find a place where they can feel at home and discover a deeper, more meaningful value in their lives. 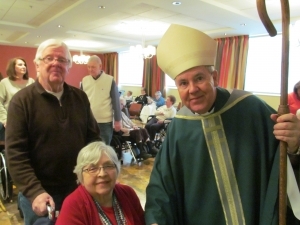 We provide religious and pastoral care, welcoming all faiths and denominations. Participating in these life enrichment programs and activities on a regular basis promotes health. There are many other benefits to participating in enrichment activities including overcoming the health risks associated with isolation and loneliness, depression, and more. The wide variety of programs we offer are seven days a week in the morning, afternoon, and evening. Our front patio is the perfect spot for residents to gather. If you are weighing which skilled nursing or senior living community might be the best fit for your loved one, be sure to take a close look at the life enrichment opportunities we offer at The Jewish Home and Elan Gardens.